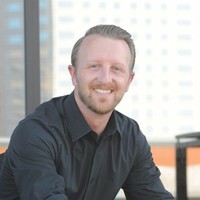 Mike is the founder of 30lines.com, which is a digital media company that helps businesses drive more traffic and convert more leads, through online tools including websites, email marketing, search engine optimization and social media. The difference between owned space and rented space. How to quickly get a professional website built for you or your property, even if you have zero technical experience. How to repurpose existing content to use in various media channels to drive more presence to your property or brand. The benefits of creating a personal brand for yourself and how to use it when dealing with bankers, lenders, brokers, sellers, and everyone else you interact with in your business. How to use key words and specific phrases on twitter to gain a competitive edge on your competition. The power of live streaming video through FB live and how this is offering many competitive advantages to landlords and property management companies. How to leverage the power of digital media to change the perception of a value-add property that needs rebranded. How to create attractive non-cash incentives for new tenant referrals. The importance of high-quality photographs and how professional photos will place you leaps and bounds ahead of your competition.